Bonded Item: Has a "wizard staff" composed of a long, darkened rod of petrified wood from the holy trees of Aerenal, around which the stretched & milky-white spine of one of his deathless ancestors lazily coils. At the top a blood-red dragonshard is attached, which serves as a crystalline 'spellbook'. ●Not measuring up to expectations . Proficiencies: Club, dagger, heavy crossbow, light crossbow, quarterstaff. Added: All simple weapons, light & medium armor, shields, and scimitar. but these can only be used to prepare Necromancy spells. Opposition Schools: ●Enchantment & ●illusion. requires 2 spell slots of that level, not just 1. "Detect Good" and similar good-sensing effects. ●Can choose to either heal the living or harm the undead. ●Damage cured or inflicted = 2d6 HP. ●Will save for 1/2 dmg. DC is (1/2 cleric lvl +Cha mod) = DC +4. Spontaneous Healing: Can “lose” any prepared cleric spell slot (except for orisons & domain spells) in order to cast any cure spell of the same spell level or lower (a "cure spell" is any spell with “cure” in its name). It's as if he had used the spell slot to prepare a "cure" spell insted. ●Can prepare & cast 1st-lvl spells from one of his spellcasting classes by using the 2nd-level slots from his other spellcasting class. ●Can prepare & cast 2nd-lvl spells from one of his spellcasting classes by using the 3rd-level slots from his other spellcasting class. ●Can prepare & cast 3rd-lvl spells from one of his spellcasting classes by using the 4th-level slots from his other spellcasting class. ●Can prepare & cast 4th-lvl spells from one of his spellcasting classes by using the 5th-level slots from his other spellcasting class. ●Can prepare & cast 5th-lvl spells from one of his spellcasting classes by using the 6th-level slots from his other spellcasting class. ●The components of these spells don't change, but beyond that they follow all the rules of the class used to cast the spell. ●Once per day, can cast 2 spells, 1 from each of his spellcasting classes, as 1 single action. ●Both of the spells must have the same casting time. ●Can make any decisions concerning the spells independently. ●Any target affected by both of the spells takes a –2 penalty on saves made against each spell. ●Gets a +2 bonus on CL checks made to overcome Spell Resistance with these two spells. ●The bonded object can't be used to cast spells from the wizard’s opposition schools (if any). as long as they still meet the Caster Level prerequisites of all relevant feats. because the ''Craft Magic Arms & Armor'' feat has a prerequisite of Caster Level 5. ●The magic properties of a bonded object, including any magic abilities added to it, only function for the spellcaster who owns it. ●If bonded item is damaged, it is restored to full HP the next time the owner prepares their spells. ●If a bonded object’s owner dies or the item is replaced, it reverts to being an ordinary masterwork item of its type. ●If a bonded item is lost or destroyed, it can be replaced after 1 week, through a costly ritual. Costs (200 gp per lvl in bond-class) + (cost of masterwork item), and takes 8 hours. Items replaced in this way don't automatically get any of the enchantments added to previous item. ●Get ''Command Undead'' as a bonus feat. ●You can use it a number of times per day = (3 + Int mod) =14 per day. ●Will save DC = (1/2 (Wizard lvl + Cleric lvl + Theurge lvl) + Int mod) = DC +20. as if under the effects of the "control undead" spell. ●Intelligent undead receive a new saving throw each day to resist your command. but not feats that alter it (like "Elemental Channel" & "Alignment Channel"). ●If used against deathless creatures instead, it can force them to flee, using similar mechanics as the "Turn Undead" feat. ●As a standard action, you can make a melee touch attack that causes a living creature to become "shaken". ●Lasts for a number of rounds = (1/2 [wizard lvl +1/2 other relevant lvls] ) (minimum 1) = 5 rounds. ●If you touch a "shaken" creature with this ability, it becomes "frightened" for 1 round if its HD<(wizard lvl+1/2 other lvls) = HD< 11. ●You can use this ability a number of times per day equal to (3 + Int mod) = 14 times per day. ●Can get Blindsight to a range of 10 feet for rounds per day = (wizard lvl +1/2 other relevant lvls) = 11 rounds/day (don't need to be consecutive). ●Only allows you to detect living, undead & deathless creatures, but it also tells you which of those 3 a creature actually is. ●Constructs and other creatures that are neither living, undead nor deathless can't be seen with this ability. ●Can enable a touched creature to recall some bit of forgotten lore or info. ●Target can retry any Knowledge skill check it has made within the past minute. ●It also gets an Insight bonus on retried check = your Wisdom mod = +8 bonus. ●Can use this ability a number times per day = (3 +Wis mod) = 11 times per day. ●This removes the "exhausted", "fatigued", "nauseated" or "sickened" conditions. ●You can use "clairvoyance/clairaudience" at will as a spell-like ability. ●Usable for a number of rounds per day = (cleric level +1/2 other relevant lvls) = 10 rounds/day. ●Caster Level = (Cleric level +1/2 other relevant lvls) = CL 10. ●These rounds don't need to be consecutive. ●Similar to "Command Undead", this lets you try to take control of deathless creatures within 30 feet as a Standard action. ●Can be resisted with a Will save, with DC = (1/2 [cleric lvl +1/2 other relevant lvls] +Cha modifier) = DC +8. ●You can take control of any deathless who fail the save, provided it's within your capacity, making them obey your orders. ●At any given time you can be in control of total HD worth of deathless beings = (cleric lvl +1/2 other relevant lvls +feat) = 14 HD. ●Attempts to go beyond this limit fails, but you can release as many creatures from your control as you want as a Free action. ●You can use this ability a number of times per day = (3 + Charisma modifier) = 6 times/day. ●If used against undead creatures instead, it can force them to flee as per the "Turn Undead" feat. controlling max HD worth of creatures = (effective class level) = 18 HD. the rolled d6 also adds to your effective class level, in addition to basic effect of the AP (f.ex. boosting save DC or max HD controlled). 3.Theurgy: Can boost arcane spells with divine power, or divine spells with arcane power. 5.Spell Focus (Necromancy): Necromancy spells have +1 bonus to spell save DC. ●When calculating how many undead (and/or deathless) you can keep control of, you are considered to have +4 lvls = 22 HD. ●Effects that let you keep control of undead (f.ex. the "command undead" spell) have doubled duration. ●Add 1/2 the lvls in arcane casting class to divine lvls for the purpose of Domain powers or similar. ●Add 1/2 the lvls in divine casting class to cleric lvls for the purpose of School powers, Bloodline, or similar. ●Lvls in a class only count if it has a focus that "supplements" the domain/specialty/bloodline/etc of the other class. F.ex: Cleric with "Charm" domain add 1/2 those lvls for effects of "Enchantment" specialization. Wizard specialized in "Abjuration" adds 1/2 those lvls for effects of "Protection" domain. 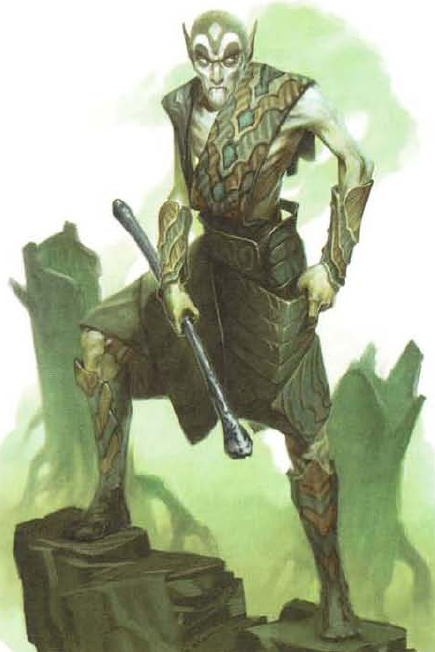 11.Right of Counsel: By virtue of his hereditary place in his family he has the legal and sacral right to seek advice and assistance from one of his ancestors, a deathless elf in Aerenal's City of the Dead. The ancestors grow impatient with frequent interruption, and thus they refuse to assist you more than once per month. 13.Ancestral Whispers: Through intense focus and divine energies, you can hear the advice of past ancestors. ●Select 1 single skill & expend 1 daily usage of "Channel Energy" (or power derived from it, like "command deathless"), as a Standard action. ●You get a +4 sacred bonus on checks using that skill, thanks to the whispered advice of your deceased ancestors. ●You're treated as being trained in that skill, even if you have no ranks in it. ●This lasts for a number of rounds = (3 +Cha bonus) = 6 rounds. 15.Spell Penetration: You get a +2 bonus on CL checks to overcome Spell Resistance. 17.Thanatopic Spell (Metamagic): ●Makes a spell pierce defenses & immunities that protect against death effects, negative levels, and energy drain, affecting the target as if the protective barrier did not exist (though saving throws and SR (if any) still apply). ●Undead become susceptible to spells augmented by this feat. ●Increases spell level by +2. F.ex: You could cast a thanatopic "vampiric touch" or "enervation" spell on a target under the effects of "death ward", and the target would suffer the normal effect of the spell. 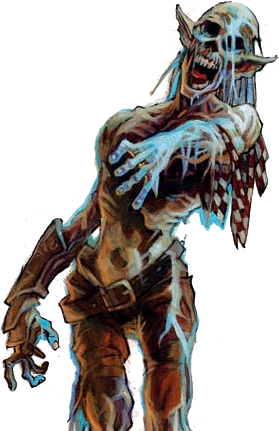 ●A thanatopic spell that would kill a living creature (such as by giving it negative levels = its HD) destroys an undead (though undead such as ghosts, liches, and vampires may reform as normal). ●Undead affected by thanatopic spells that give negative lvls automatically make their saving throws to remove negative levels after 24 hours. 18B.Quicken Spell (Metamagic): Reduces casting time to a Swift action. ●You can perform another action, even casting another spell, in the same round as you cast a quickened spell. ●A spell whose casting time is more than 1 full-round action can't be quickened. ●Casting a quickened spell doesn’t provoke an Attack of Opportunity. ●Increases spell level by +4. Close: 25 ft +5 ft / 2 CL = 55 feet (60 if necromancy). Medium: 100 ft +10/CL = 230 feet (240 if necromancy). Long: 400 ft +40/CL = 920 feet (960 if necromancy). 2.Memory Lapse: Subject forgets events back to last turn. 2.Consecrate: Fills area with positive energy, making undead weaker & deathless stronger. ●If it's not already trained to carry a rider, it is considered trained for the duration of the spell. while those with "Run" go from x4 to x5). ●Can do the "hustle" movement action without taking damage from it or getting fatigued. ●If involved in a chase scene, both mount & rider get a circumstance bonus = (CL) for any checks needed for the chase scene. ●When the duration of the spell expires, the mount becomes fatigued. 5.True Seeing: Lets you see all things as they really are, 1 minute/CL. 5.Breath of Life: ●Heal a touched target of 5d8 +CL (max +25) damage. ●Can bring recently slain target back to life, if cast within 1 round of death. 6.Modify Memory: Changes 5 minutes of subject’s memories (f.ex. can edit, delete, fabricate, clarify, etc). 6.Create Deathless: Turn a dead person into a deathless creature (f.ex. "undying soldier", or equivalent). 1.Cure Light Wounds: Heal a touched target of 1d8 +CL (max +5) damage. 2.Cure Moderate Wounds: Heal a touched target of 2d8 +CL (max +10) damage. 3.Cure Serious Wounds: Heal a touched target of 3d8 +CL (max +15) damage. 4.Cure Critical Wounds: Heal a touched target of 4d8 +CL (max +20) damage. 5.Mass Cure Light Wounds: Heal 1 target/CL of 1d8 +CL (max +25) damage. 6.Mass Cure Moderate Wounds: Heal 1 target/CL of 2d8 +CL (max +30) damage. 7.Mass Cure Serious Wounds: Heal 1 target/CL of 3d8 +CL (max +35) damage. Close: 25 ft +5 ft / 2 CL = 60 feet (65 if necromancy). Medium: 100 ft +10/CL = 250 feet (260 if necromancy). Long: 400 ft +40/CL = 1'000 feet (1'040 if necromancy). *1.Cause Fear: 1 creature of 5 ≥ HD is "frightened" for 1d4 rounds. Successful Will save: "shaken" for 1 round. Range = 25 ft +5 ft / 2 CL. *1.Chill Touch: Can do 1 touch attack/CL, each deals 1d6 dmg & 1 Str dmg. *1.Ray of Enfeeblement: Ranged touch inflicts Str penalty = 1d6 +1/2 CL (≤+5). Can't reduce Str below 1, doesn't stack with self, Fortitude halves, lasts 1 round/CL. *1.Ray of Sickening: Ranged touch inflicts sickened, 1 min/CL, Fort negates. *1.Interrogation: Target answers questions or suffers pain. *1.Repair Undead: Heals 1 undead of 1d8 + CL (max +5) damage. *1.Sculpt Corpse: Makes a corpse look like another creature. *2.Blindness/Deafness: Makes subject blinded or deafened. *2.Brow Gasher: Touched slashing weapon can add Bleed dmg=(1/2 CL) to 1 hit within 1 round/CL. Target also has –1 on attacks per round Bleed continues. 3 rounds=20% miss chance. 5 rounds=Blind. *2.Command Undead: Basic control of 1 mindless undead, obeys basic orders, no save. Works ca. as "charm person" on 1 intelligent undead, if it fails Will save. Both last 1 day/CL. *2.False Life: Gain temporary HP = 1d10 + CL (max +10). 1 hour/CL or until used up. *2.Ghoul Touch: Target's paralyzed & emits sickening stench in 10-ft radius. 1d6+2 rounds. *2.Life Pact: Fellow bonded subjects auto-donate HP to stabilize a fallen ally. *2.Pernicious Poison: Touched target gets ●–4 penalty on saves against poison. ●Any poison that's affecting them keep going for +2 extra "frequency" intervals. ●Trying to cure target of poison gets –4 penalty, both magic & mundane. ●10 min/CL. *2.Skinsend: ●Animate & possess own skin as if it's a creature, looking & behaving like you do. ●1 hour/CL. ●Only has 1/2 HP (which it borrows from your actual body). ●Has construct type, traits, and immunities. ●Str 3 & Con —. ●DR 10/(piercing or slashing). ●"Compression" monster ability (Bestiary 2 p295). ●Your skin can take any actions you could normally take in your own body (f.ex. fight or cast spells). *2.Unshakable Chill: Target suffers effects of "severe cold" conditions, Fort negates, 10 min/CL. Means target takes 1d6 nonlethal cold dmg, & must save each 10 min (spell's DC) or take more dmg. show them one of their own, or view one of the target’s memories. Max length = 1 minute. 2.Glide: You take no fall damage, move 60 ft/round during a fall. ●1 of their natural wpns get –2 on atck & dmg, only crits on natural 20, & deals ×2 dmg on confirmed crit. ●Their Natural Armor bonus decreases by –4, to a minimum bonus of +0. ●1 of creature’s movement speeds (chosen by you) is halved. *3.Healing Thief: Steal 1/2 the magic HP healing that touched target gets, for 1 round/CL. No save. Only works while you're within Short range of target, and ends once you've stolen 5 HP/CL (max 50). *3.Howling Agony: ●Overwhelms 1 target/CL with debilitating pain. ●Lasts 1 round/CL. ●Gives –2 to AC, attacks, melee damage & Reflex saves. ●Must roll Concentration (at spell's DC) to cast spells. ●If a target spends a Move action screaming in pain as loud as possible, they ignore penalties for rest of that round. *3.Malediction:F ●Utter a dire curse over the body of a dying creature, letting you consume its waning life force. ●Touched living being with (HP< 0) must make a Will save or die. ●If victim dies, you gain +1 Action Point per 5 HD victim had (max 3, min 1 if sentient). ●These Action Points only last 1 minute per HD of the victim, after which unspent points are lost. *3.Ray of Exhaustion: Ranged touch makes subject exhausted, 1 minute/CL. Fort save to only be fatigued. If already fatigued, then exhausted even if wins save. *3.Sands of Time: Touched target advances to next Age Category. Gets penalties, but not benefits, 10 min/CL. No save. If used on an object, construct, or undead creature: Inflicts 3d6+CL (max +15) damage from erosion (instantaneous). *3.Toxic Gift: Target suffers the effect of the poison in you. to 1 undead/3CL. Otherwise as barbarian's "rage". Concentration, +1 round/CL. *3.Vampiric Touch: Touch deals 1d6 dmg / 2 CL (≤ 10d6). You get temp-HP = dmg (≤ victim's HP+Con) for 1 hour/CL. 3.Arcane Sight: Magical auras become visible to you. 3.Haste: Give +1 on attacks, AC & reflex saves, +30 ft spd, and +1 attack on a full-attack action, to 1 target/CL. 3.Khyber Trap:F Trap 1 outsider or extraplanar creature in khyber-shard worth 100 gp/(target's HD), 1 round/CL, will negates, close range. 3.Phantom Steed: Conjure up magic horse-like steed, can be ridden by you or chosen subject. ●Speed = 20 feet /2CL (max 100 ft). ●Can bear rider’s weight +10 pounds/CL. ●Lasts 1 hour/CL. ●At CL 8: Mount can ride over sandy, muddy, or even swampy ground without difficulty or decrease in speed. 3.Undead Anatomy I: Turn self into humanoid-shaped corporeal Small or Medium undead creature, 1 minute/CL. Small: +2 dex, +1 natural armor, bite attack (1d4 dmg), 2 claw or slam (1d3). Medium: +2 str, +2 natural armor, bite attack (1d6 dmg), 2 claw or slam (1d4). ●Detect as undead, and affected as such by channeled positive & negative energy, but other effects are as normal. ●Get Darkvision 60 feet. ●Get these, if taken form has it: *climb 30 ft, *fly 30 ft (average), *swim 30 ft, *low-light vision, *scent. *4.Bestow Curse: Gives touched target 1 of the listed drawbacks. Permanent, Will negates. *4.Bloatbomb: ●Touched target with HD≤(1/2 CL) must make a Fort save or die. ●If victim dies, the corpse quickly putrefies & becomes volatile. ●First creature to touch victim's remains within 1 minute/CL of the death detonates the corpse. ●Explodes in 10-foot-radius, inflicting 3d6 acid damage. ●Reflex save for 1/2 damage. *4.Corpse Hammer: Fuse 3+ destroyed undead into a wpn, deals 1d6 dmg/3CL (max 6d6), for 1 round/CL. ●This 'weapon' can be directed to attack one foe within Short range each round as a Move action. ●Uses your CL as its BaB, plus the highest of your Int, Wis, or Cha modifier = 10+6 = +16 attack bonus. ●If majority of bodies used were skeletal, it deals Slashing dmg & has crit range of 19–20. ●If majority of bodies used were fleshy, it's Bludgeoning dmg & has critical multiplier of ×3. *4.Enervation: Ranged touch inflicts 1d4 negative lvls. Regained after 1 hr/CL. Undead get 1d4 x5 temp-HP for 1 hr. *4.Greater False Life: Gain temporary HP = 2d10 + CL (max +20). 1 hour/CL or until used up. *4.Shadow Projection: Transfer own life force & psyche into your own shadow, giving it independent movement while you're "possessing" it. ●Casting time is 1 minute, only uses somatic components, & duration is 1 hour/CL (D). ●You physical body lies comatose and has no shadow or reflection for the spell's duration. ●Your shadow has same HD & HP as you. ●Gives you the darkvision, defensive abilities, fly speed, racial skill modifiers & strength damage attack of the undead "Shadow" creature. ●You also gain its basic body type, so you have the same physical ability scores, Incorporeal subtype, size, etc. ●Also, in this form you have the Undead creature type, and may be turned or affected as undead are. ●If your projected shadow is killed, you return to your physical body & get reduced to -1 HP. Condition becomes "dying", and you must start making checks to stabilize. 4.Arcane Eye: Create invisible floating sensor you can see through, moves 30 ft/round (300/min), for 1 minute/CL. 4.Black Tentacles: Tentacles grapple all in a 20-ft spread. 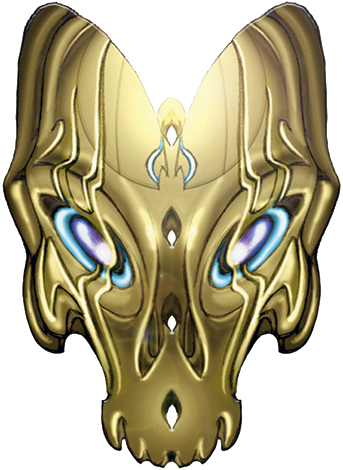 4.Mirror Transport: Mirror becomes a multiple-use ''dimension door'', can exit through any mirror within 500 ft.
●Once per round you can select 1 single living creature of max 9 HD in close range to target with terror-causing energy. ●1 round/CL. ●If target fails a Fortitude save, it becomes panicked for 1d4 rounds & you get 5 temp-HP (which disappear after 1 hour). ●These temporary HP stack if they are from different creatures. ●After panic ends the subject is shaken for 10 minutes/CL, but auto-reverts to panicked if it's within sight of you during that time. *5.Orb of Dancing Death: ●Creates a small floating orb of pulsing black energy, ca 3 inches in radius. ●Each round as a Move action, you can direct the orb to attack 1 creature within range. ●If it hits, it inflicts 1 negative level on the victim. ●Can fly within 'Close' range. ●No save. ●Lasts 1 round per 3 CL. ●If not directed, the orb returns to your side. ●Survivors regain lost levels after 1 hour per CL (max 15 hours). No risk of becoming permanent. ●An undead creature struck by the orb gains 5 temporary HP for 1 hour. *5.Suffocation: Extracts the air from a target's lungs, quickly suffocating them to death. Close range. ●If target succeeds on the Fortitude save, they're only "staggered" for 1 round (gasping for breath). 1) On target's next turn, they fall unconscious & is reduced to 0 HP. 2) One round later, the target drops to –1 HP & is "dying". 3) One round after that, the target dies. ●Each round, the target can delay that round's effects from happening by making a successful Fortitude save, but the spell effect continues for 3 rounds, and each time a target fails their Fortitude save they move 1 step further along the track to death by suffocation. ●This spell only affects living creatures that must breathe. ●You can't defeat the effects of this spell by simply holding your breath, as it extracts the air from your lungs when you fail a save. then the target (the one who summoned it) is also considered to be subjected to that spell. ●1 minute/CL, close range, will negates. ●Affected summoner gains normal defenses against the spell, f.ex. a saving throw & spell resistance. *5.Vampiric Shadow Shield: Wreathes you in shadowy energy for 1 round/CL (D). ●Any creature that hits you with its body or a hand-held weapon takes 1d6 +CL (max +15) negative energy damage. ●Whenever the spell damages an attacker, you heal HP = 25% of the damage the spell dealt. ●Creatures wielding melee weapons with reach aren't subject to this damage. ●If attacker has Spell Resistance, it applies to this effect. 5.Prying Eyes: 1d4 +1/CL floating "eyes" scout for you, for 1 hour/CL. 5.Secret Chest:F Hide chest (with contents) on Ethereal Plane. ●10 minutes casting time. ●Can retrieve it at will, as Standard action, within 60 days. ●The chest can hold max 1 cubic foot of goods per CL. 5.Undead Anatomy II: As "UA" nr 1, but with more benefits, and can now turn into undead of Tiny or Large size as well. Tiny: +4 dex, –2 str, +1 natural armor, bite attack (1d3 dmg), 2 claw or slam (1d2). Large: +4 str, –2 dex, +4 natural armor, bite attack (1d8 dmg), 2 claw or slam (1d6). ●Gain a +4 bonus on saves vs *disease, *poison, *sleep, *stunning & *mind-affecting effects. *DR 5/bludgeoning, *scent, *freeze, *grab, *mimicry, *pounce, *shadowless, *sound mimicry, *trip, & *vulnerability to an atck (f.ex. sunlight). *6.Banshee Blast: Cone deals 1d4 sonic dmg/CL (max 15d6), reflex halves. All who fail reflex save must make Will save or else be panicked for 1 round/CL. *6.Eyebite: ●You target a living creature at close range. Fortitude negates. ●Can also target 1 more creature each following round, as a Swift action, for 1 round/CL. ●Affected targets becomes panicked, sickened, and/or comatose, depending on their HD. *6.Undeath to Death:M Kill 1d4 HD/CL of undead (max 20 HD). *6.Unwilling Shield:M Subject shares wounds you receive. 6.Analyze Dweomer:F Reveals magical aspects of subject. 6.Battlemind Link: You & 1 ally within Close range fuse minds for 1 minute/CL, perfectly cooperating. ●You & the ally each roll initiative in combat and use the higher die result before adding modifiers. you both make attack rolls & both use the higher of the 2 dice for your attack rolls (plus bonuses). you both make attack rolls & both use the higher of the 2 dice for your attack roll (plus bonuses). affected creatures take a –2 penalty on their saving throw against the spells. ●These benefits are lost if you can't see each other, or if either of you are unconscious or helpless. 6.Spellcrash: Target loses 5th-lvl prepared spell or spell slot. 6.Undead Anatomy III: As "UA" nr 2, but with more benefits, and can now turn into undead of Diminutive or Huge size as well. Dimintv: +6 size to dex, –4 str, +1 natural armor, bite attack (1d2 dmg), 2 claw or slam (1 dmg). Huge: +6 size to str, –4 dex, +6 natural armor, bite attack (2d6 dmg), 2 claw or slam (1d8). ●Gain a +8 bonus on saves vs *disease, *poison, *sleep, *stunning & *mind-affecting effects. Move: *burrow 30 ft, *climb 90 ft, *fly 90 ft (good), *swim 90 ft. Senses: *all-around vision, *blindsense 30 ft, *darkvision 60 ft, *low-light vision, *scent. Qualities: *DR 5/—, *jet, *mimicry, *natural cunning, *shadowless, *sound mimicry, *unnatural aura. ●If the creature has immunity or resistance to any energy types, you gain Resistance 20 to those energy types. ●If the creature has vulnerability to an energy type, you gain that vulnerability. ●If the form has a vulnerability to an attack (f.ex. sunlight), you gain that vulnerability. *7.Control Undead: Force undead creatures to do what you tell them to do, for 1 min/CL. ●Max 2 HD/CL, no 2 targets can be over 30 ft apart, Close range, Will negates. ●Even if you can't vocalize, affected undead won't attack you. ●Intelligent targets will remember that you controlled them. *7.Finger of Death: Deals 10 damage/CL to 1 target within Close range. Victim can make Fortitude save to reduce this to (3d6+CL) damage. *7.Waves of Exhaustion: All living beings within 60-foot cone become exhausted. No save. 7.Deflection: Redirect attacks that miss back to their source. 7.Greater Spell Snare: Make a dragonshard absorb 1 incoming spell or spell-like ability of max 6th lvl. ●Has detailed info on subject: DC 25, but get less info. 7.Limited Wish: Alters reality (within limits). *8.Clone: Duplicate body awakens when original dies. 8.Trap the Soul:M Imprisons subject within gem. Hand of the Hereafter: A "deathless graft" type of item; the character's own left hand has been surgically removed and replaced with the enchanted hand from a deathless donor. This 'prosthetic' then functions in all ways like the character's original hand, and can perform all the same tasks and perceive all the same sensory feedback the character could with their own hand. Three times per day, the character can make the grafted hand detach from the arm and become incorporeal for the next 3 minutes, floating through the air out to a max distance of 130 feet from the owner. This reduces the character's current and maximum HP by 4, which are returned when the hand re-attaches again, whether it's because duration expired, the effect was dispelled, or the character decided to end the effect prematurely. While so detached the hand is still a part of the character it's been grafted to, who can move and flex it like they could while it was still solid and affixed to their wrist. And though it can't hold or wield equipment in this incorporeal state, it can still be used to perform Somatic components that may be needed (f.ex. if the owner's other hand is otherwise occupied). Though it's technically possible to perform all sorts of gestures with it, it can't obscure an opponent's vision nor distract or inconvenience them directly. The primary benefit, however, is that the ghostly hand can be used to deliver touch-range class abilities and spells (of 4th lvl or lower), allowing you to roll your melee touch attack from a distance, and it provides a +2 bonus on the roll. Doing so counts normally as an attack. The hand always strikes from your direction, but it can't flank a target or provide such bonuses to others, for as soon as it has delivered its touch effect it returns to the owner, hovering at his side. If used to employ a beneficial touch-range effect on a willing target, no attack roll is required. ●The hand's incorporeal nature means it can't be harmed by normal weapons, only those methods that can affect immaterial targets. ●It has (+8 size, +4 Natural Armor, +11 Int modifier) = AC 1d20 +23 (Int mod used as if it was hand's Dex mod). ●The hand has 4 HP, the same owner lost when it detached. If it loses any HP while separate, owner doesn't regain them afterwards. ●Uses owner's save bonuses, when needed. Logically enough, for as long as the hand remains separate and incorporeal the owner's physical body only has one hand left, with all the limitations and problems this entails. Lastly: It gives +1 bonus to saves vs poison & disease. This stacks with bonus from any other deathless implants. Headband of Smart Wisdom: Gives +6 wis & +6 int & +4 cha while it's worn. Belt of Incredible Dexterity: Gives +4 to Dexterity while worn. Cloak of Resistance: (slot: shoulders) Gives +4 resistance bonus to all saving throws. Ring of Protection: (slot: ring #1) Gives +3 deflection bonus to AC. Amulet of Natural Armor: (slot: neck) Gives +3 natural armor bonus to AC. Gloves of Elvenkind: (slot: hands) +5 competence on Concentration checks to cast a spell defensively, & on Spellcraft checks. Spectral Shroud: (slot: chest) This thin, bleached cloth covers the wearer’s entire torso. The morbid burial shroud grants the wearer the ability to discern invisible or ethereal creatures as though using "see invisibility". Once per day, wearer can become incorporeal for 10 rounds & gain a Fly speed = (1/2 base speed), at (perfect) maneuverability. Wearer can't attack while incorporeal, but can dismiss the effect as a Move action. Spellshard: Fist-sized dragonshard crystal, can hold spells as a spellbook, up to 20 pages worth. Zombies: Has 3 perma-controlled elven zombies & 1 perma-controlled djinn "fast" zombie. 2×Pearl of Power (2nd-lvl): Each pearl can be used once per day. Lets user regain a prepared 2nd-lvl spell slot that they've already cast. That spell is then prepared again, just as if it hadn't been cast. Tome of Clear Thought: (expended) Gives +5 permanent increase to Intelligence. Tome of Understanding: (expended) Gives +4 permanent increase to Wisdom. Aureon's Spellshard: A large Eberron dragonshard that's usable as a spellbook, just like spellshards, which is mounted on the top of the staff. However, this one can hold the equivalent of 500 pages of spells, and the owner can imprint spells in it without paying the usual material component costs (still need to spend the time to imprint the spells). Staff of Inflict Critical Wounds: 10 charges. ●Effect: Touch attack inflicting 4d8 +1/CL damage (max +20) = 4d8+16 dmg. ●Will save for 1/2 dmg, at DC = +(4 +Ability mod +relevant feats & traits) = DC +16. ●This is negative energy damage, so it heals an undead target. ●As a staff, it uses wielder's ability modifier, caster level, feats and traits to calculate effect, if they're better than ratings it was crafted with. ●Can restore 1 charge per day while preparing daily spells, by expending a level 4 spell slot. Staff of the Master Necromancer: In addition to its spell content, this staff can be used to cast spells using any metamagic feats known by the wielder without increasing the spell’s level. ●This consumes a number of charges = the number of spell levels increased by the feat. ●No more than 1 feat can be applied to a spell cast by the wielder in this way. ●Using the staff for this purpose doesn't increase the casting time of the spell. Spine of the Undying: A necromancer who selects this item as their bonded object can use it to spontaneously convert any prepared wizard necromancy spell into any other wizard necromancy spell of the same or lower level that they have in their spellbook(s). Bowstaff: This enchantment changes the melee weapon so it can be used as a ranged weapon when the wielder needs it, while still keeping the qualities & functions of the original bludgeoning weapon. ●This weapon enhancement allows a club to be used as a shortbow or a quarterstaff to be used as a longbow. ●The weapon retains its normal HP & Hardness. ●The melee weapon's enhancement bonus, if any, also applies on ranged attack & damage rolls. ●Additional special weapon qualities also apply to ranged attacks if such qualities can be added to a ranged weapon (so f.ex. "flaming" works, but "defending" doesn't). "Mystical" weapon: Nature: Weapon trait. Limit: Ranged missile-weapons only (bows, crossbows, etc). ●It deals an additional +1d6 damage. ●Gains a bonus on the ranged touch attack roll = weapon's enhancement bonus against the target creature. ●If the spell hits, wielder also applies this bonus on the spell's damage roll (if any). Slam: Natural atck. Dmg: 1d6+4. Crit: x2. Toughness: Gets +3 HP, +1 per HD > 3. ●Can only do 1 single Move OR Standard action each round (not both). ●Can move up to its speed & attack in the same round as a Charge action. •All mind-affecting effects (charms, compulsions, morale effects, patterns, and phantasms). •Gives –4 to Fly. •Gives –8 to Stealth. •Space 10 ft. •Reach: 10 ft. Speed: Base: 30 feet. Fly: 60 feet (perfect). Slam: Natural wpn. Atck: +10. Dmg: 2d6+7. Crit: x2. Traits: Primary. 2 slams: Natrl wpn. Atck: +10/+10. Dmg: 1d8+4. Crit: x2. Scimitar: 1-handed. Atck: +11/+6. Dmg: 1d8+5. Crit: 18–20 / x2. Traits: Masterwork. Toughness: Gets +3 HP, +1 per HD > 3. Total: +9 HP. Undead Immunities: As described for "Elf Zombies" (above). Quick Strikes (Ex): Whenever a fast zombie takes a Full-attack action, it can make one additional slam attack at its highest BaB. Smite Evil (Su): Can be used 1/day as a Swift action. ●Smite effects persist until the target is dead or the soldier rests. ●In melee, every time you miss because of concealment, you can reroll your miss chance percentile roll 1 time to see if you actually hit. ●An invisible attacker gets no advantages related to hitting you in melee. That is, you don’t lose your Dex bonus to AC, and the attacker doesn't get the usual +2 bonus for being invisible. The invisible attacker's bonuses do still apply for ranged attacks, however. ●Don't need to make Acrobatics checks to move at full speed while blinded. 1.Power Attack: Can take -2 on attacks to add +4 (or +6) on damage. ●As a Standard action, you can make 1 single attack at your full BaB against a foe within reach. (using full BaB) against a foe that's adjacent to the first & also within reach. ●You can only make 1 additional attack per round with this feat. ●When you use this feat, you take a –2 penalty to your AC until your next turn. 7.Improved Smite: Racial "smite evil" is upgraded to get all the benefits of a Paladin's full "smite evil" effect. Shortspear: 1-hand. Atck: +6. Dmg: 1d6+2. Crit: x2. Traits: Masterwork. Shortspear: Thrown. Atck: +5. Dmg: 1d6+2. Crit: x2. Range: 20 ft. Traits: Masterwork. Breastplate: medium armor. AC: +6. Max dex: +3. Penalty: –3. Speed: 20 ft. Traits: Masterwork. Steel Shield: heavy shield. AC: +2. Penalty: –1. Traits: Masterwork.